"Maurice" White on some muster rolls, but "Morris" on the medal rolls. According to the 1881 Census, born in Cashel, Ireland, c.1827. Enlistment details suggest c.1825. Enlisted at Cahir on the 6th of February 1844. 3, Hope Street, Edinburgh St George. Maurice White, 23, Private Soldier 13th Lt Dragoons, born Ireland. Ann White, 26, born Ireland. Margaret White, 6 months, born Edinburgh. He was shown on a nominal roll of men of the Regiment made out at the Cavalry Depot, Scutari, on the 9th of November 1855 as being a Batman (not shown to whom), having been there from the 24th of October. Returned to England from the Crimea on the 15th of April 1856 with Veterinary Surgeon Towers, who was on "sick leave" and who died at Manchester on the 28th of April 1862. He was batman to Captain Greatorex, A.D.C. to General Parlby, at Dublin, from January 1860. At Woolwich from the 1st of April 1861 to 2nd of April 1862. Maurice White, 45, Private, born Ireland. Ann White, 49, born Ireland. William White, 13, son (father's name, Thomas Knowles), born Ireland. [CP, March 2014: From 1851 onwards wife's name is Ann, but file notes Mary in 1868. Plus later reference to married twice. Discharged from Edinburgh on the 2nd of April 1872, as "Free to pension, at his own request." Awarded a pension of 1/- per day. Next of kin (1868): wife, Mary White. At that time they had one child, aged 11 years 8 months. They are shown on the Regimental "Married roll" from the 16th of November 1859. Awarded the Long Service & Good Conduct medal on the 6th of April 1869, with a gratuity of £5. Living in Leeds from 1873. 12, Clarence Street, Leeds, Yorkshire. The 1881 Census shows him as "Maurice White", aged 54, a Labourer in a Tan Yard, born at Cashel, Ireland, with his wife, Ann, and a widowed daughter, Margaret Smith. Maurice White, 54, Labourer, born Cashel. Ann White, 60, born Antrim. Margaret Smith [daughter], 30, widow, Tailoress, born Edinburgh. Given that his wife is named as Ann at this time, he had probably married twice. Maurice White, 63, Labourer General, born Ireland. Ann White, 70, born Ireland. Margaret Smith, 40, widow, Tailoress, born Scotland. "Another of the rejected cases was that of poor old Morris White of the 13th Hussars. He enlisted in February of 1846 [sic] and in 1854 was sent with his regiment to the Crimea, where he served throughout the campaign and took part in the memorable charge at Balaclava when all the world wondered. He received the Crimean medal with four clasps for Alma, Balaclava, Inkerman and Sebastopol. One of the many heroic deeds performed by our soldiers must be placed to the credit of Morris White. On going into the Charge at Balaclava the horse of his Captain was shot and he, turning to White, said, 'Ride back and bring my second charger'. White rode back and brought his officer another horse, and he and his captain rode into, and out of, that "valley of death". He does not now need the assistance we are trying to obtain for the men who could perform such feats of arms, for he has joined the great majority. The 'Leeds Mercury', in speaking of this subject and remarking upon this man's case, said, 'He is 64 years of age, with a sick wife and a widowed daughter and himself suffering from heart disease. Nor can there be any delay...'. That prophecy, within four months of its actual publication, became a fact." However, there is no evidence of his ever having belonged to, or attending, any of the veterans' functions or organisations, so the question of the truth of his having ridden must be an open one. He died on the 12th of August 1891, aged 64, in Leeds Workhouse and was buried in a common grave in Beckett Street Cemetery on the 14th of August by the Leeds Discharged Soldiers' Aid Society. Morris [sic] White, aged 64, September Quarter 1891, Leeds. Ann White [wife], aged 73, March Quarter 1895, Leeds. Through "The Friends of Beckett Street Cemetery", it was discovered in 1986 that the stone on which his name is recorded (along with seven others) is still standing and in good condition. The inscription for him reads "Maurice [sic] White, died August 12th 1891, aged 64 years". Apparently there are many rows of these "Guinea graves", and single ones scattered here and there, but his is in what appears to be a small Catholic "enclave". These stones would recently have been in great danger of being cleared if the Council had not been forced to abandon its plan for a 80%-90% clearance of the cemetery - the Chairman of the Municipal Services Committee, whose plan it was, is reputed to have said that the "Guinea graves" should have been done away with because "they remind us of the gap between rich and poor". There is a full report (in the "Memoirs" file) of an enquiry held at Scutari in February of 1856 into the cause of a fire which destroyed the Haidar Pasha (a Turkish palace in which the 13th were quartered). A "Private White", in whose room the fire was said to have started, gave evidence. There were two men named White serving at this time. No indication was given as to which of the two was concerned, but Captain Percy Smith - who lost some of his property - refers to a "Ginger" White, an old soldier (which both of them were). However, the physical description of975 Thomas White (see his record) shows him as having sandy hair, so it could well have been he. In addition, 1231 Morris White does not appear to have been married during the Crimean period and the story of how the fire started refers to a "man of the 13th, and his wife." 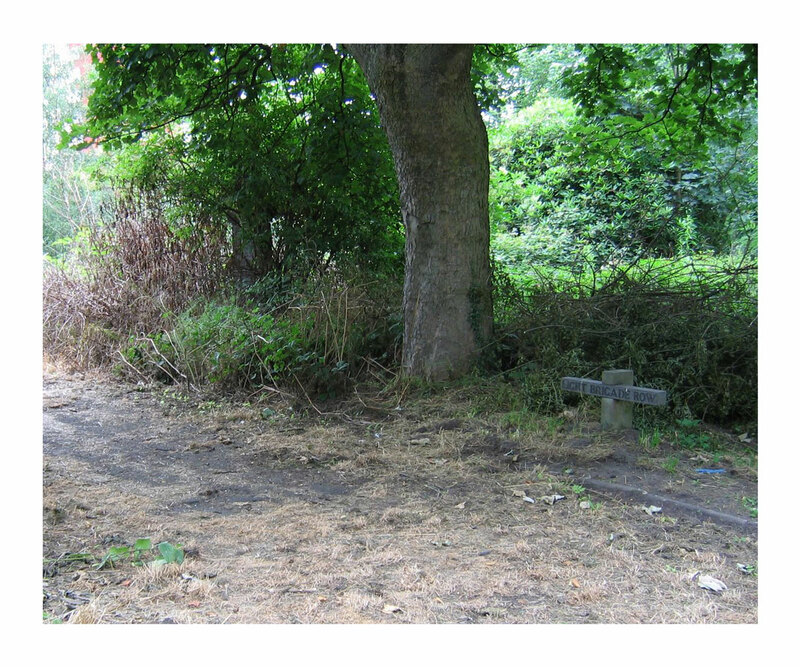 [PB, March 2014: Around the time of the 150th anniversary of the Charge, in 2004, theYorkshire Evening Post website published "Our heroes deserve better than this...", an article by Grant Woodward, in which he called for improvements to the "dilapidated" Beckett Street Cemetery. Four Chargers are buried there, he says:James Cunningham, Richard Thompson Chambers, Maurice White andJames Malanfy. Seehttp://www.yorkshireeveningpost.co.uk/news/latest-news/top-stories/our-heroes-deserve-better-than-this-1-2271870 (published 19.10.2004, accessed 2.3.2014). "With the growth of English cities during the Industrial Revolution came a booming population too vast for churchyards. 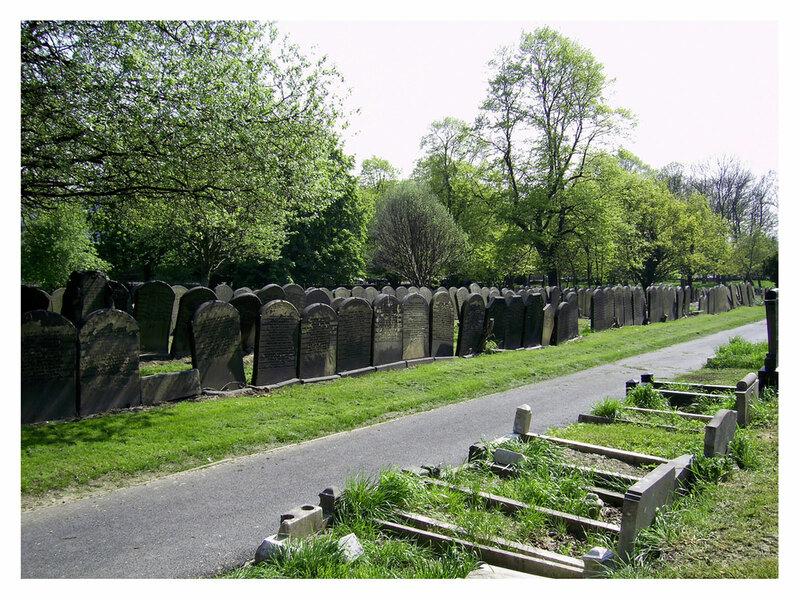 Beckett Street Cemetery in Leeds was to become the first municipal cemetery in the country. This study relates how the cemetery was started and run, and describes the developing feuds between denominations. The author draws upon newspaper articles, archive material and municipal records to tell the stories of many of the people who lie there, from tiny infants, soldiers and victims of crime to those who perished in the great epidemics of Victorian England. The study throws new light on the occupations and pastimes of the inhabitants of Victorian cities, their problems with law and order, their attitudes to children, education and religious provision." "Maurice White ... died in 1891, aged 66. A veteran of the Crimean, he had enlisted in 13th Light Dragoons in 1844 as a 19-year-old labourer. He was discharged from the army in 1872 and in 1891 theLeeds Mercury took up his case for 'more generous treatments' by the War Office. TheMercury said later: 'He received the Crimean War Medal, with four clasps for Alma, Balaclava, Inkerman and Sebastopol; afterwards served two-and-a-half years in Canada, and was discharged in Leeds after 26 years' service, with fifteen pence a day. With such a record, and six conduct badges, and the medal for long service, he obtained employment as a labourer, and continued in it until two years ago, when his health failed. 'With his pension and what he drew from the sick fund of the Discharged Soldiers' Friendly Aid Society, he struggled thorough 1889 and 1890. The funds of the little association could support him no further and he had to depend in his then fifteen pence per day, out of which he paid 4s.6d a week for the rent of his house. 'Sixty-four years of age, with a sick wife, and himself suffering from heart disease, how can there be any delay here? A year hence, and in all probability he will be in his grave.'" "Light Brigade Row", Beckett Street Cemetery, Leeds. Note also there are a number of photographs (photographed 2005 by the website administrator) of "Light Brigade Row" on the Beckett Street Cemetery's website athttp://www.beckettstreetcemetery.org.uk/gallery/main.php?g2_itemId=14 (accessed 2.3.2014). Guinea graves, Beckett Street Cemetery, Leeds. There are others (photographed by "johnnyg1955"), including a row of "guinea graves", athttps://www.flickr.com/photos/johnnyg1955/2475846187/in/set-72157604950886008/ (accessed 2.3.2014). Additional Census information for 1851, 1871, and 1881, and registrations of births, kindly provided by Chris Poole.